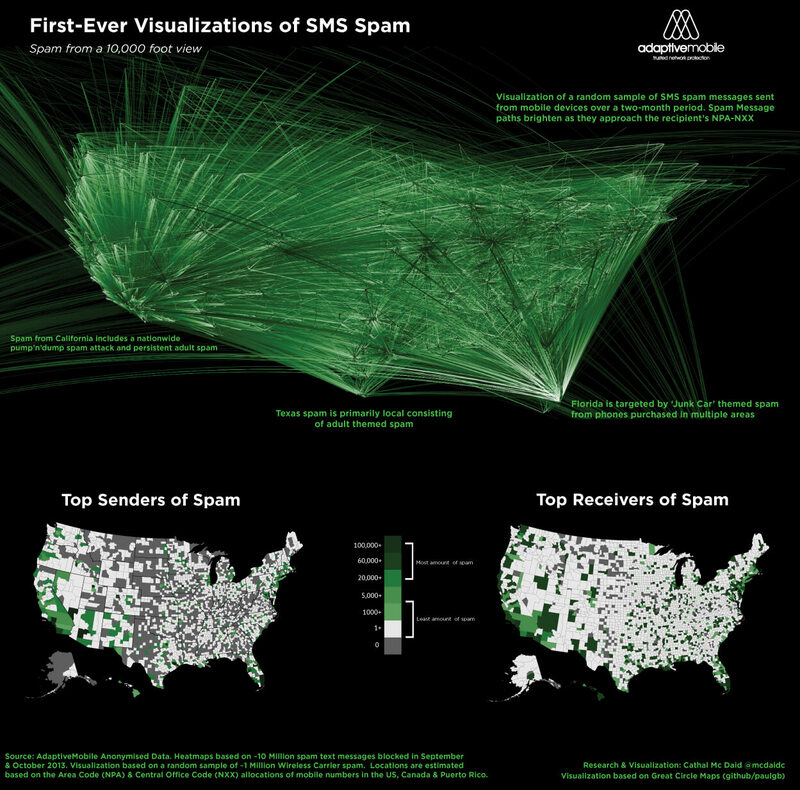 Dallas – December 4, 2013 – AdaptiveMobile, the leader in mobile security, today issued an industry-first snapshot of SMS traffic across the United States, which shows ground-breaking visualizations of text messaging spam based on the mobile phone’s geographical location, as well as the industry’s first comprehensive map of the sources and targets of mobile spam in the United States. 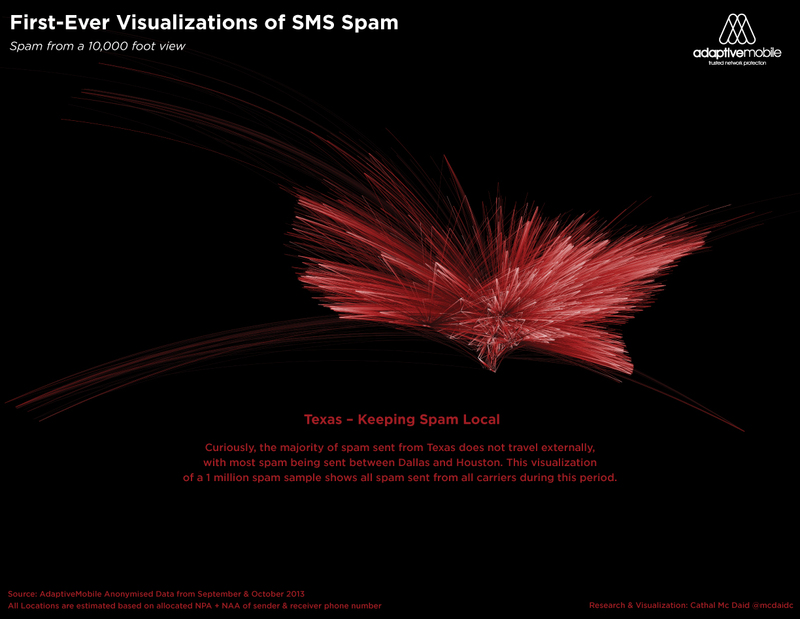 This two-month snapshot shows that mobile phones in South Florida, Dallas and Chicago were targeted with the highest levels of SMS spam. 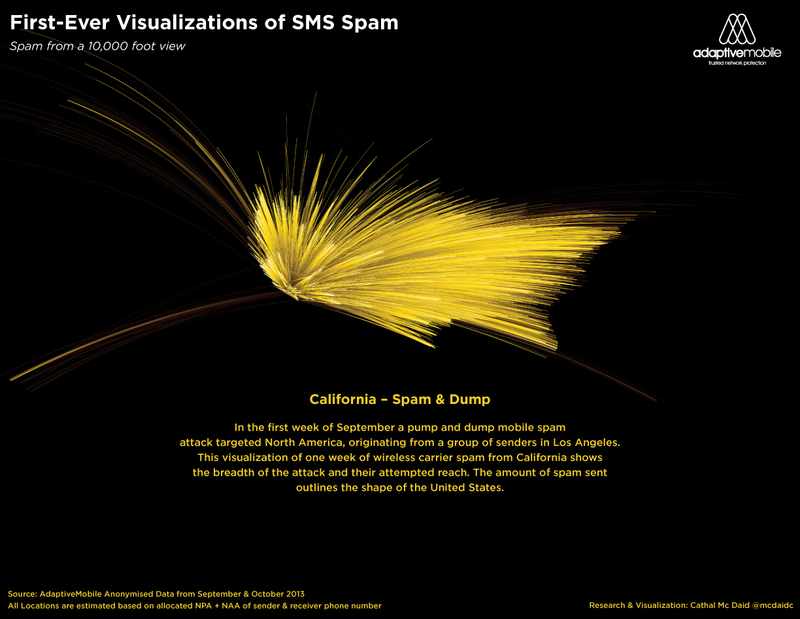 During this period, Los Angeles generated the most spam in the United States and was responsible for a pump-and-dump scam which “exploded” across the United States. 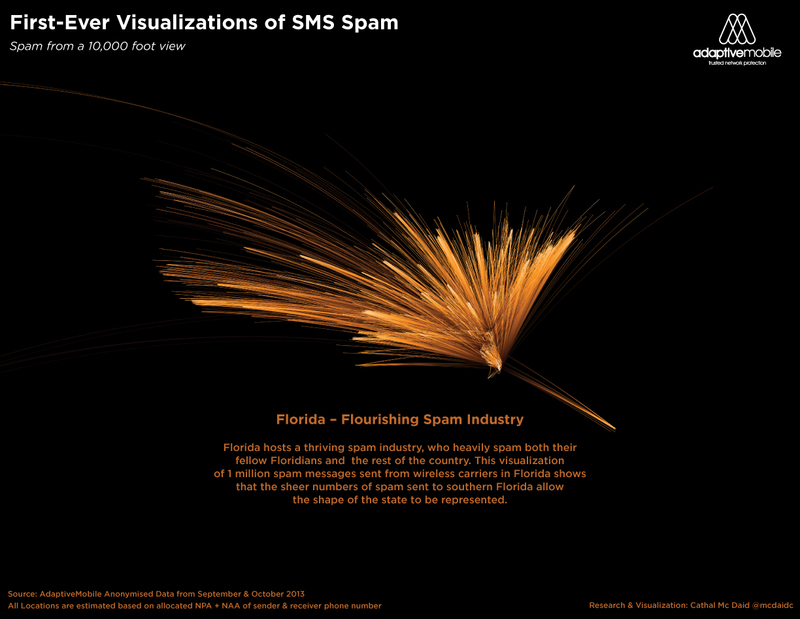 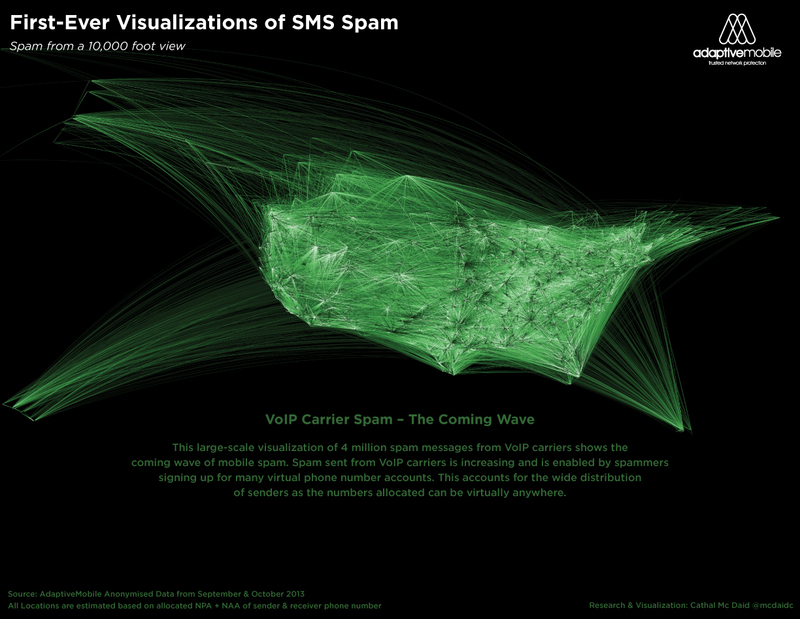 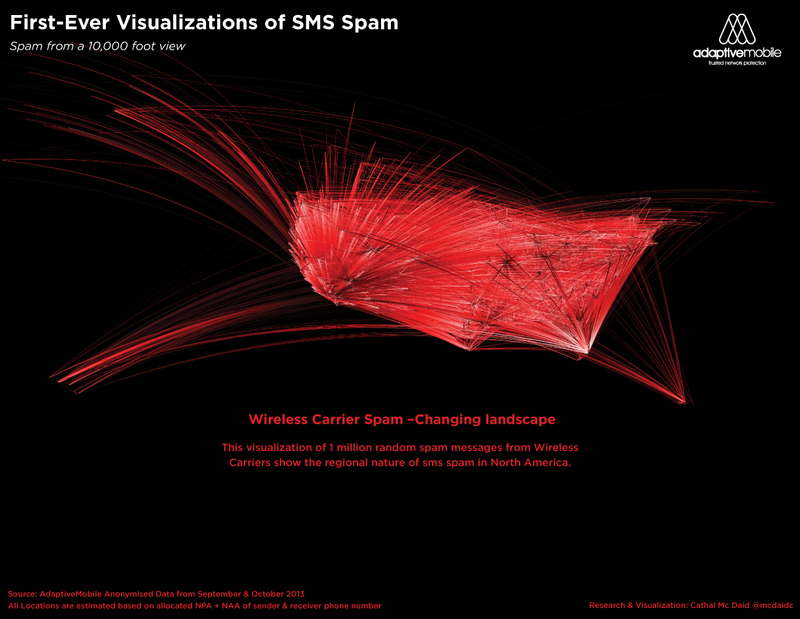 South Florida was the next highest generator, hammering the Miami area with a “Junk Car” spam campaign.